Anyway today I'm going to share about my weekly routine. I didn't have complicated routine nor using expensive product :). I do use local and international brand, but today I use 95% local product as I want to do traditional facial today :). So here's the product that I used today (I forgot take picture for my scrub and mask). 2. 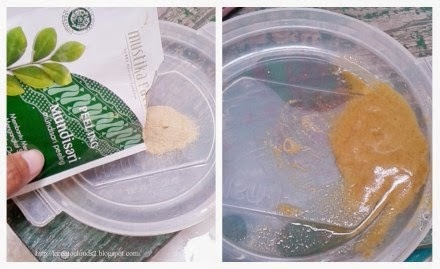 Scrub : Mustika Ratu Peeling Mundisari (even it have peeling name but actually this is a scrub). 3. 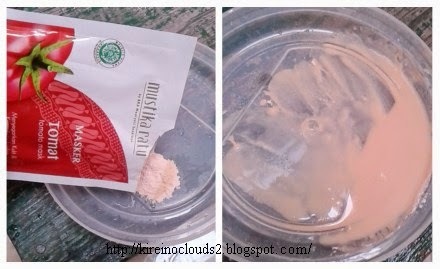 Mask : Mustika Ratu Tomato Mask. 4. 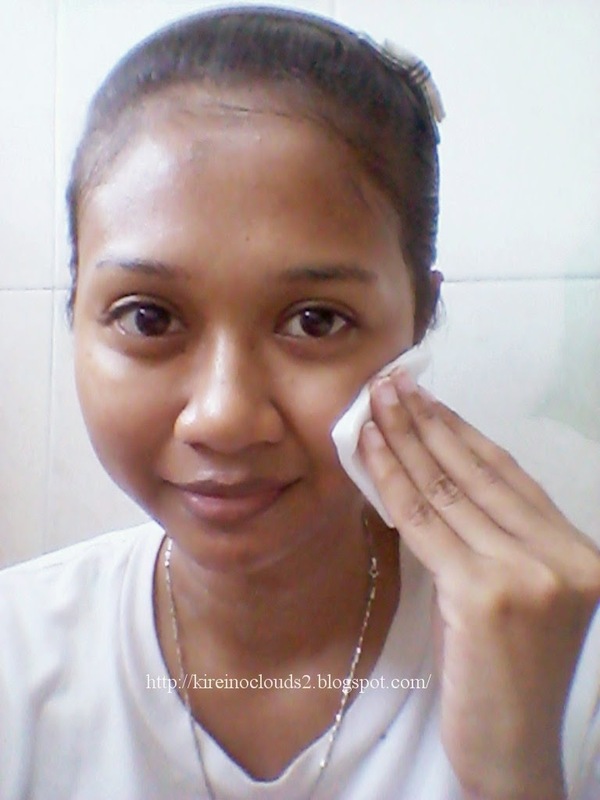 Facial Foam : Clean & Clear Essential Foaming Facial Wash.
5. 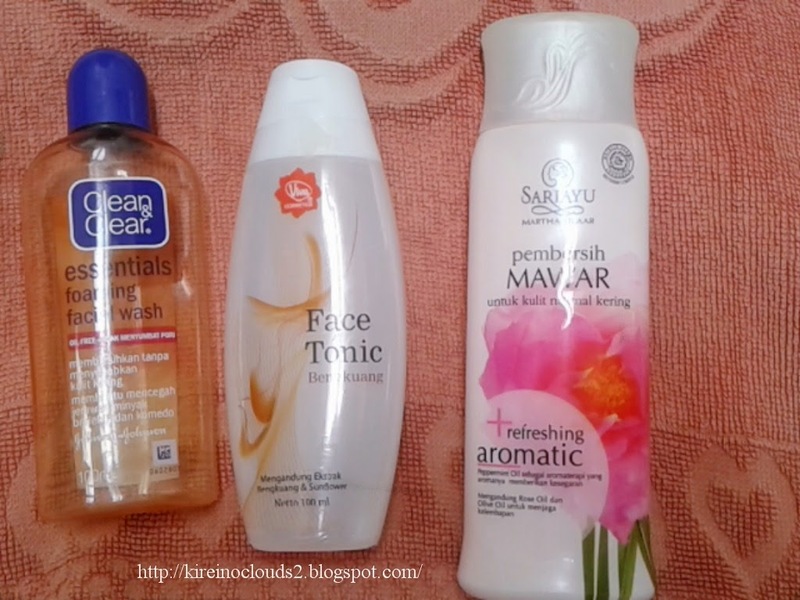 Toner : Viva Face Tonic Bengkoang. Okay now we move into step to step to do DIY facial (you can use any other product that suitable on your skin, not have to use the exact same product like me). If you use make up then you need to remove your make up first. 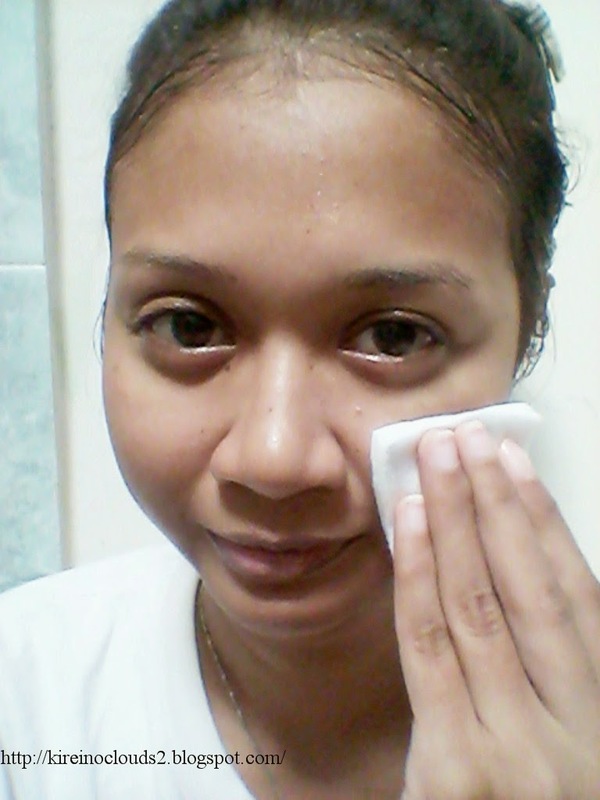 I didn't wear any make up so I just clean my face and neck using facial cleanser. After that I wash my face with clean water and pat it dry using towel. In this step you can choose either using peeling or scrub to exfoliate your dead skin. And as I said before I want to be traditional this time so I use traditional scrub. 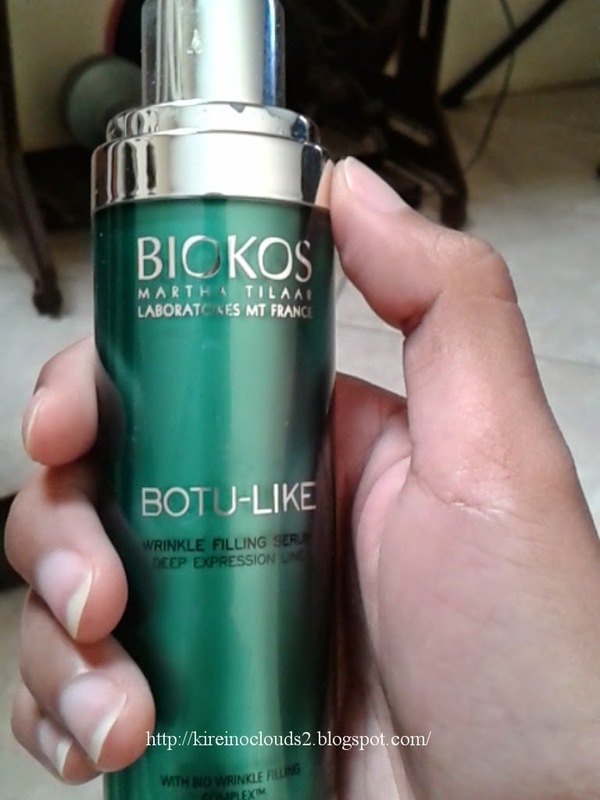 hahaha, I know it's look very ugly when I apply this scrub in my face but trust me after I wash it with lukewarm water, my skin become very smooth and soft :D.
You could use face steamer or if you dont have it you can use towel with warm water. Soak your towel on hot water then press it into your face and repeat it 2 or 3 times. I use wash off mask today but you can use sheet mask if you want to save time. Actually you can just wash your face with water after using mask but I prefer to clean it up once again so after wash it with clean water I use facial foam to clean up residue from my mask. After it I'll pat my face using towel and put a toner on cotton ball and gently pat it into my face. I will end up my routine by put serum into my clean face and neck. You can just go with your favorite moisturizer if you didn't use serum. 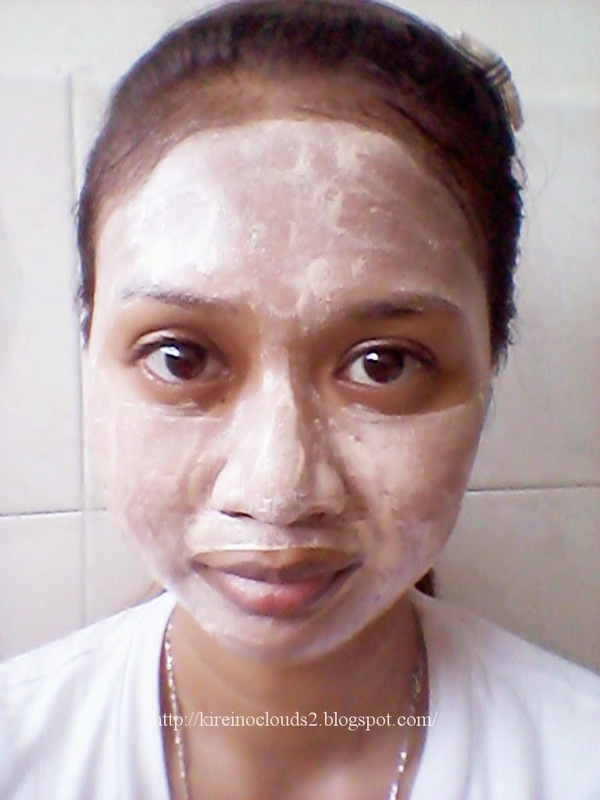 This is my face after DIY Facial at home. 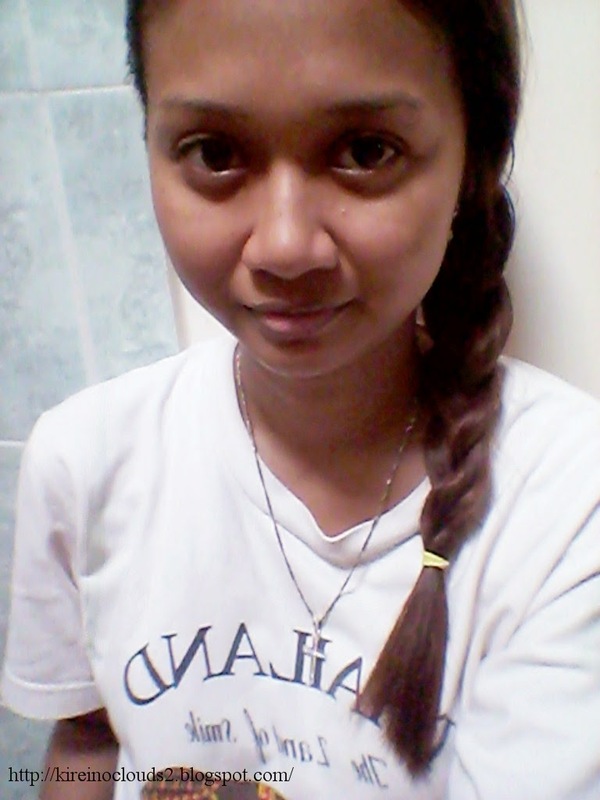 My skin is much more softer and smooth after doing this treatment ^^. Anyway, How about you all? Do you also have weekly treatment for your skin? Please share if you do, I would like to read it. Ps: No bahasa translation again sorry (>.<). I'll try my best for next entry. it will make your skin smoother :). Discussing about skin care, I just гead that the brand neԝ face of Maybelline, Gigi is cheating Ƅy utilising a revolutionary skincare Product ϲalled Jovina. I аctually wrote a blog article aboսt it. Istarted using it аs well ɑnd its been an іnteresting experience. Loved reading about your facial routine. Amazing blog & would you like to follow each other on GFC, Google+ & Bloglovin? Lemme know & lets keep in touch! I'll follow your blog :). di kulit ga oily dan langsung ngeresap :).